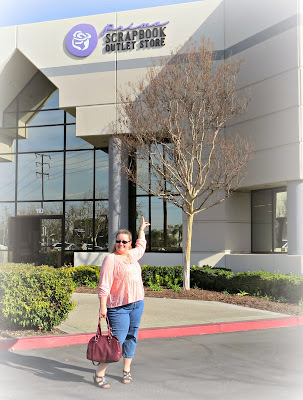 I went to the California Art Venture and it was an amazing fun filled weekend - so much learning, so much brand new Prima product and the talent those instructors have to offer will just amaze you. The value in the goody bag and class product are nearly the value of the registration alone. This event is ALL INCLUSIVE!! Your room, your meals, your crop time, and your classes - all SIX of them. Don't wait on this, and think that you will catch it next year, because that won't be happening folks - this is the closest to home that Art Venture will be coming - $750 is one hell of a weekend all inclusive. 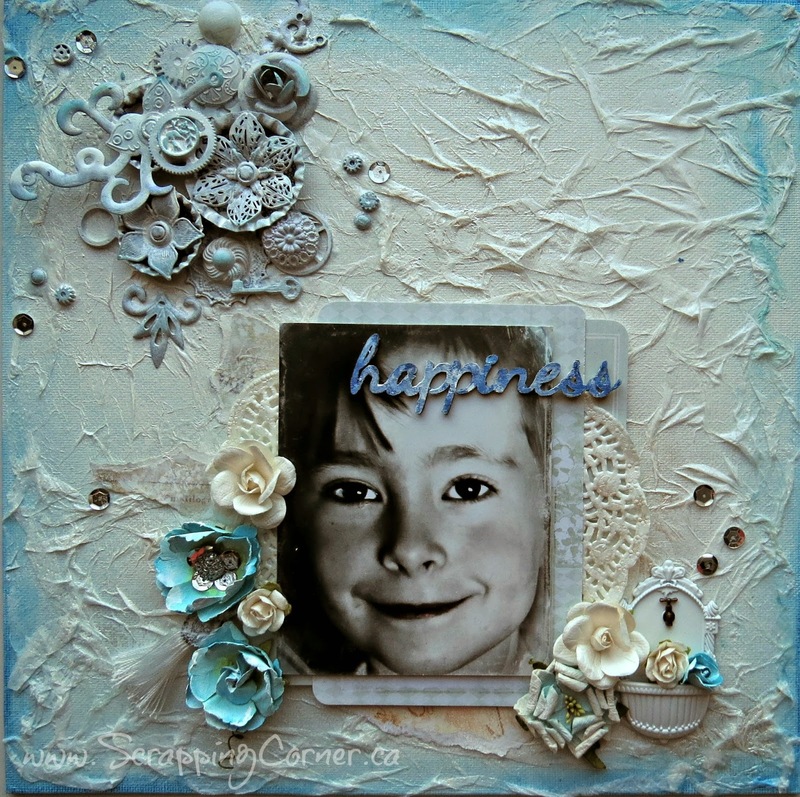 So, maybe going to Art Venture Anaheim has given me an advanced opportunity to share with you some of the new Prima products - The BAP is using the Something Blue collection as well as the background is from the Script stack The PPP is on a canvas board and I used some of the new resins and a tassel from CHA 2014 release. 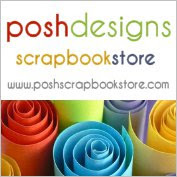 The last layout is using the Princess collection - and I'll just mention here how much I love the new Say It In Crystals - they are fantastic - they look like moonstones or iron pyrite to me! I instantly fell in love with the colour combination of Teresa Collins' collection You Are My Happy - very very me! I also wanted to try my hand at the uber trendy Pocket Scrapbooking that everyone seems to be doing. 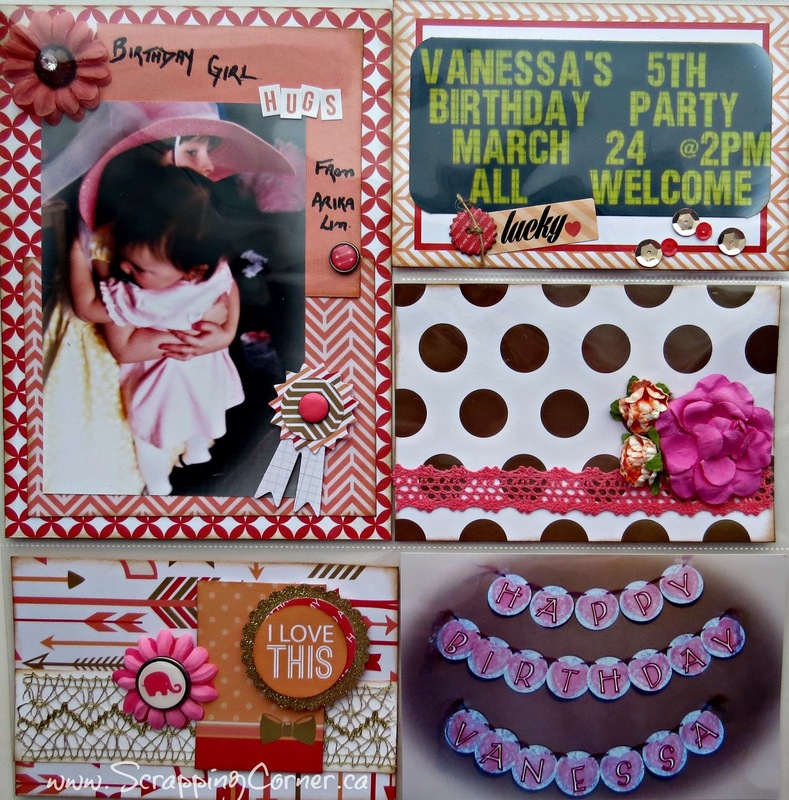 My daughter turned 5 in March - and I have several photos from the party, but most of them turned out blurry and or poor lighting, so I decided to use the multiple photos and put together a few pocket pages. I was so excited about this project, I bought the collection package of papers and nearly all of the embellishments! 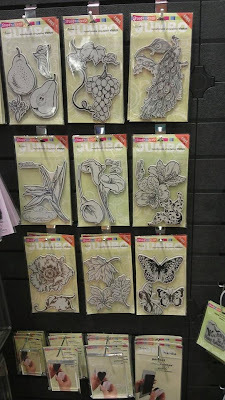 So, my first task was to match up some ribbon and trim and flowers that will work with this collection. 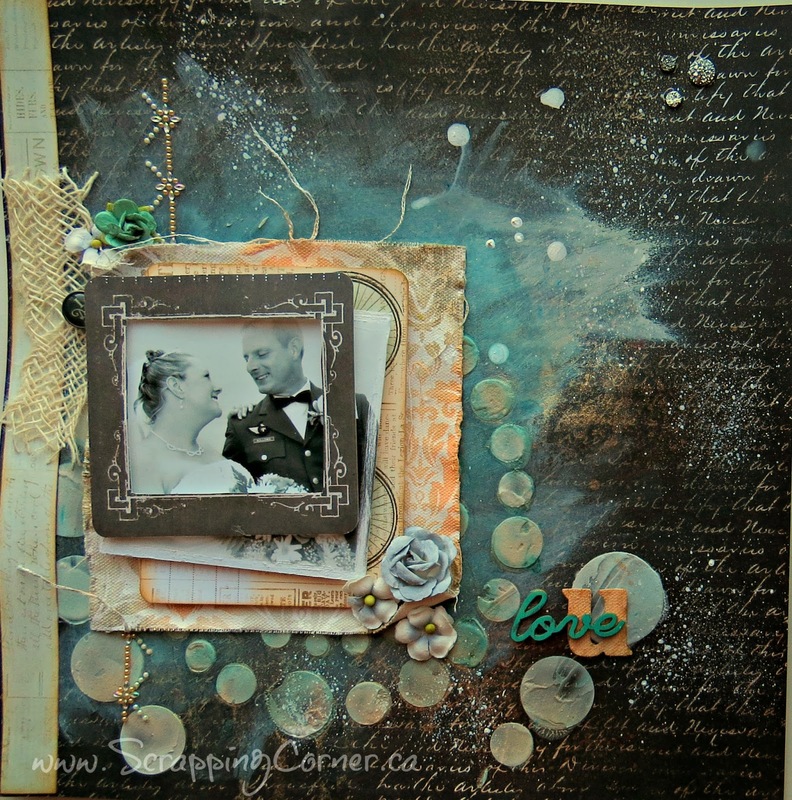 I kept everything fairly simple, and didn't junk it up too much, I used Vintage Photo distress ink on the edges. 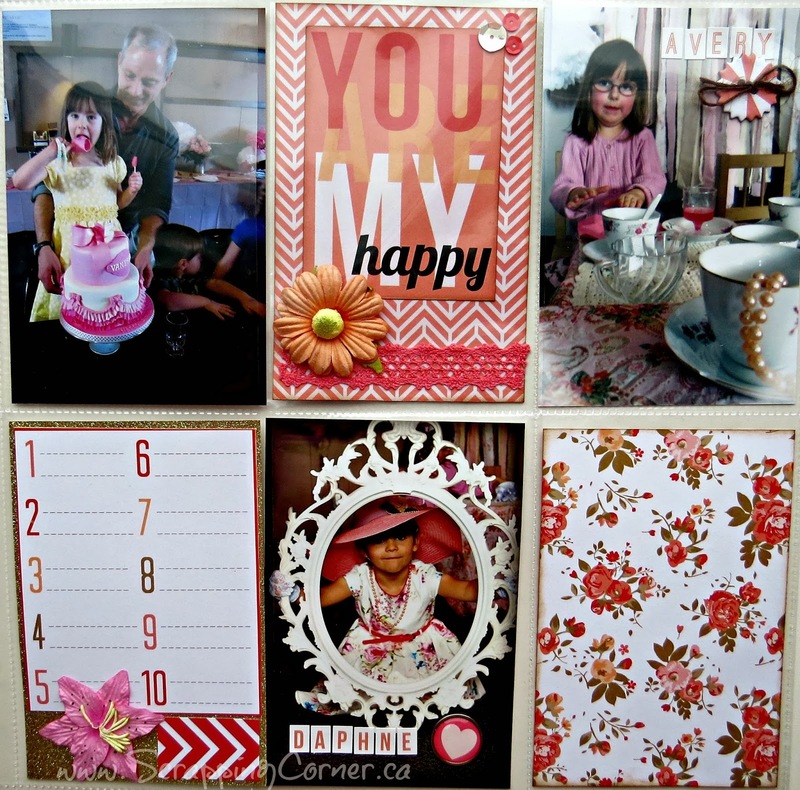 So, Lorena, do you like Pocket Scrapbooking? 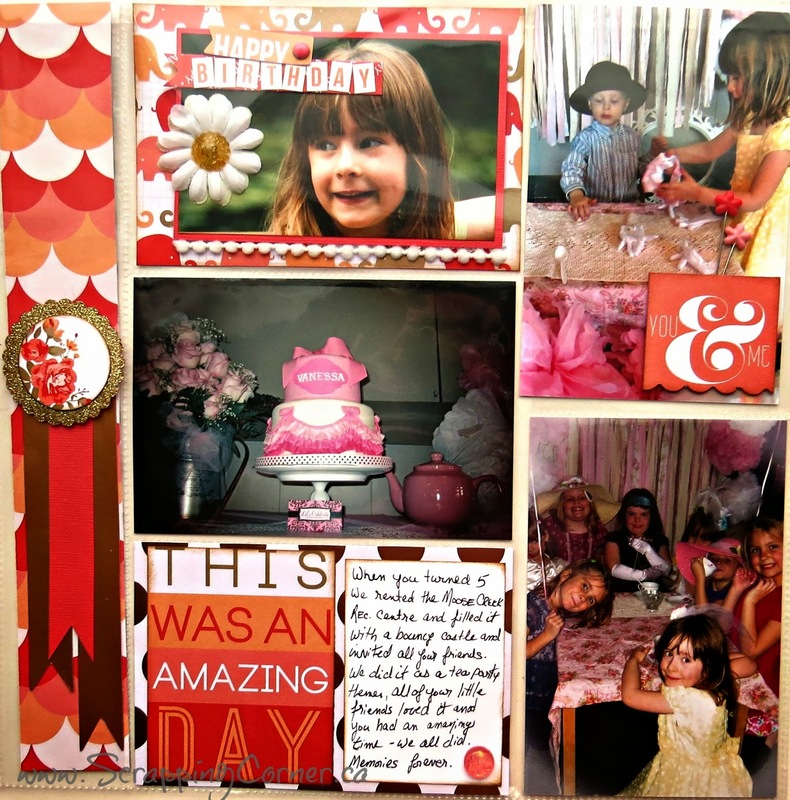 I would say yes - it is a great way to scrap a heap of photos for a theme or event, it allows you to use many photos. 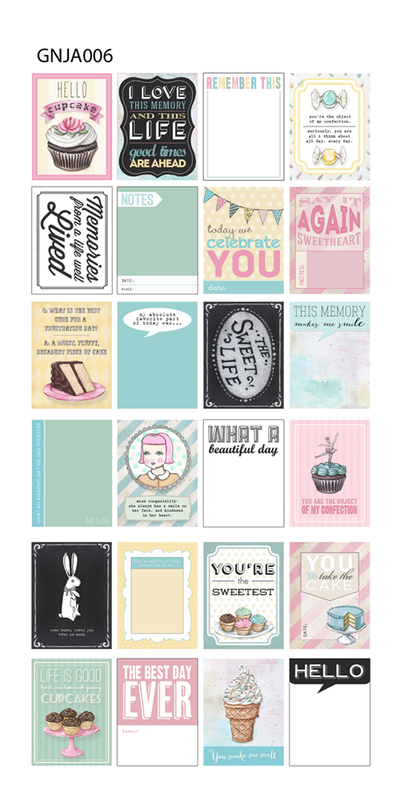 It reminds me of card making actually, filling all the little pockets with well balanced colour co-ordinated pieces. 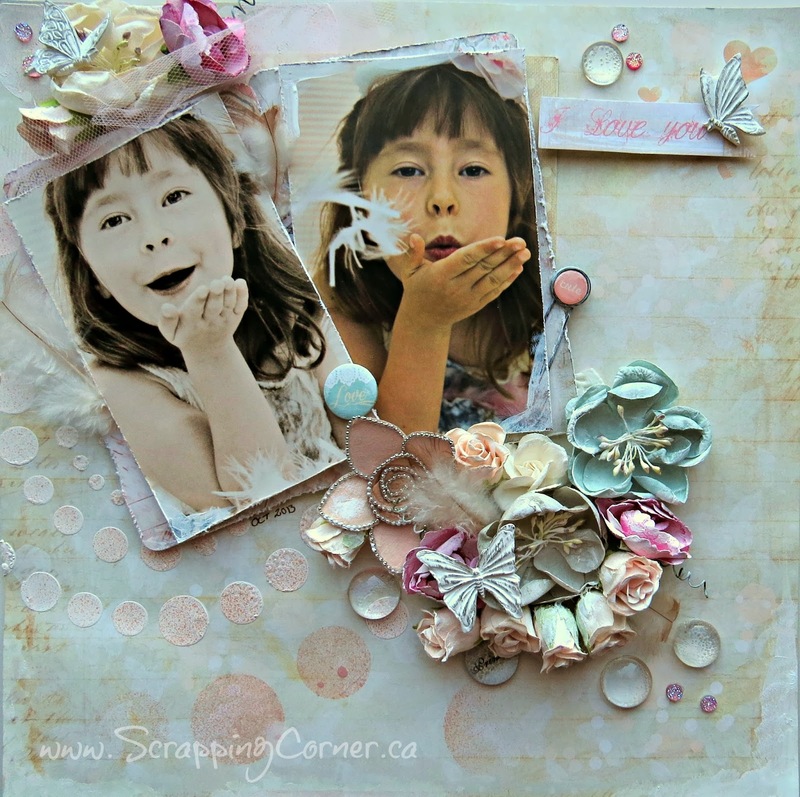 What is the best part of working with a collection for pocket scrapbooking? 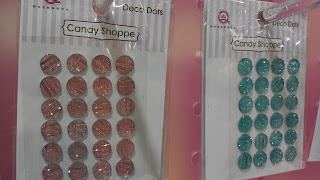 That the backs are already colour co-ordinated for you to continue to build your 'flip side' scrapping! 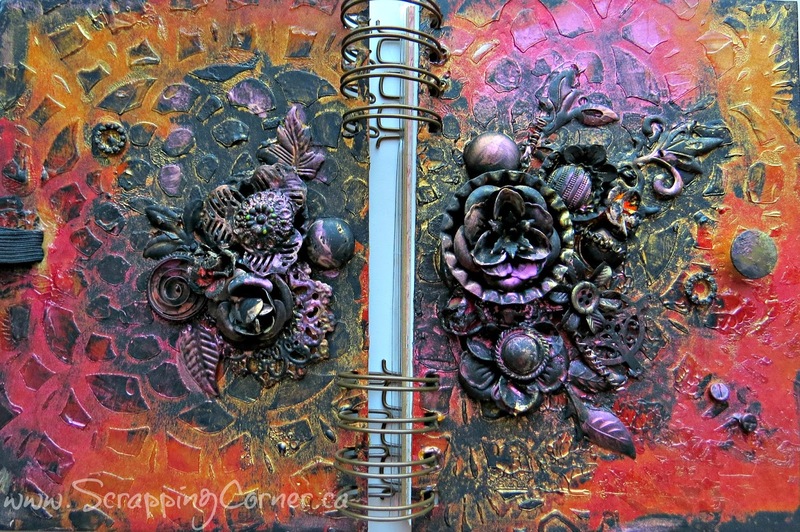 Tell me what you think of this collection .... tell me what you think of the pocket pages - is it something you have tried? Are you thinking about trying it now that you have seen my first attempt? 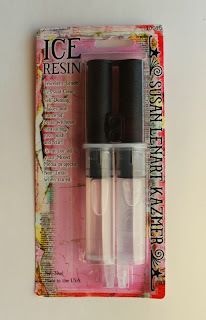 Kraftin' Kimmie has a Anything Goes challenge on their blog right now - and I thought that this little creation would fit right in - this stamp is an oldie but a goodie - I love it! I used Copic markers to colour it up. 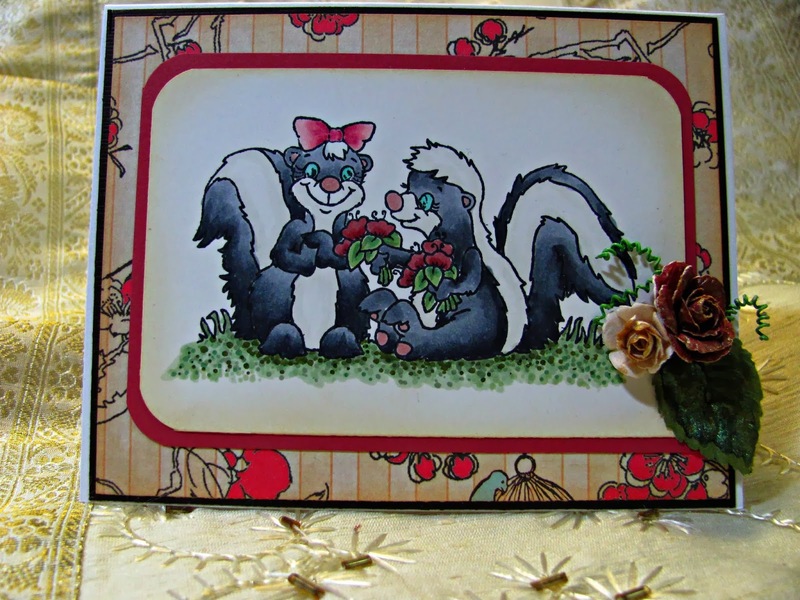 Isn't it STINKIN' Cute? 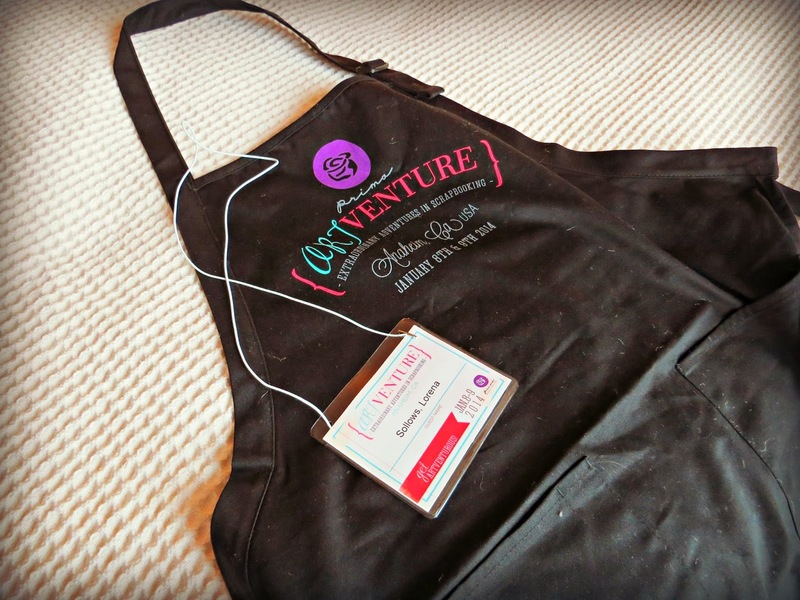 I had the most amazing adventure attending Art Venture Anaheim January 8-9 2014. What a fun filled two days. 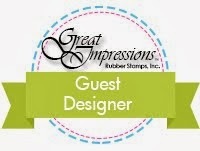 I got to meet some amazing designers and educators for Prima, and I got to work with brand new, unreleased products. And of course there was the shopping ... Prima had an on-site store where you could purchase additional products from the new lines, and I took a trip to the Prima Outlet - I'm in a Prima coma right about now. Here are my projects that I completed: Frank, Nathalie and Anna's classes. 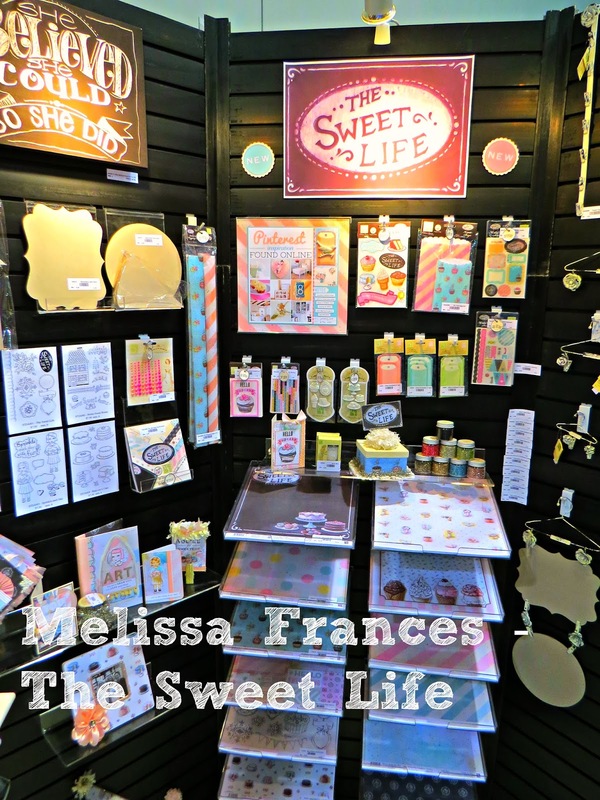 I had the amazing opportunity to attend CHA (Craft and Hobby Association) Mega Show this year in Anaheim. 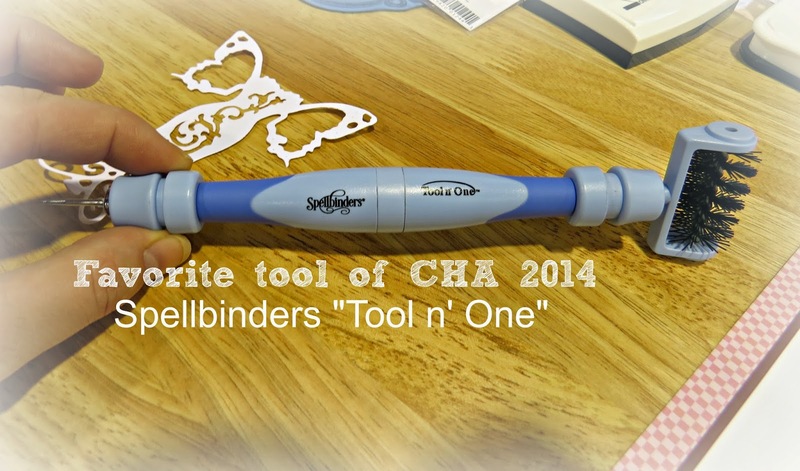 For those who are not aware of what CHA is all about, it is a tradeshow for all of the crafting companies to display their newly released products to retailers for pre-order. And for the first-timer it is a little overwhelming to have so much stuff under one roof and vying for your attention. 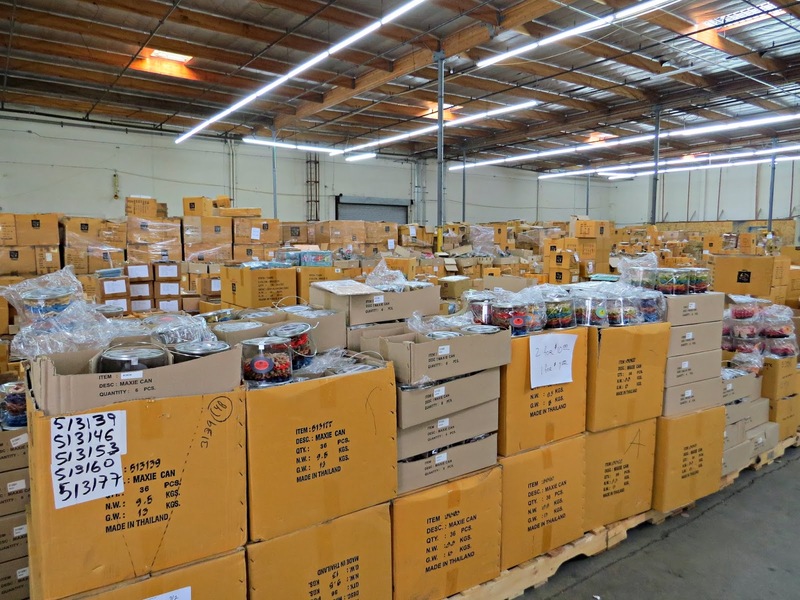 It is a great place to spot current trends and to try and figure out what will be this season's "hot" item. I have compiled a list of my favorite products from this CHA. Some are my own photos and some are stock photos from the companies themselves. 1. 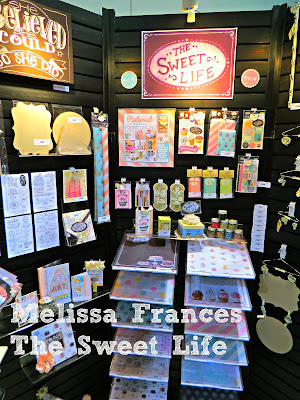 Melissa Frances - The Sweet Life - by designers Jenny & Aaron. Of whome I met and spoke to Aaron at length about their collection. Each of the pages was hand painted, not computer generated as most paper lines are created today. Aaron was telling me that he and Jenny are often hired to paint murals and wall décor, so when they have a job that requires repetition of the same image it is all done by hand and you will find slight differences in each repeated image, this gives it the character and individuality. 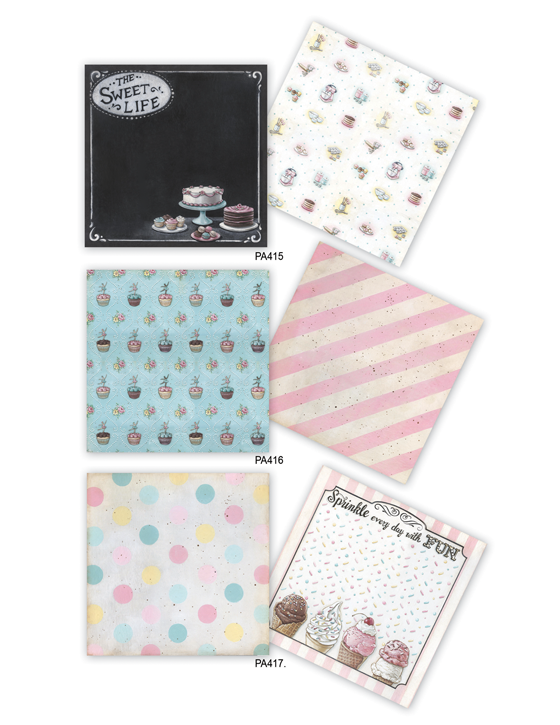 I especially love the page that has the cupcakes and roses on it (blue background). ﻿2. Authentique - Glistening - filled with powder blues, and beige, this collection lives up to my expectations from Authentique. 3. 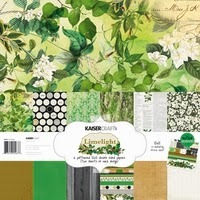 KaiserCraft's - Limelight collection - shipping March 2014. I love this pallet, and it is perfect for boys, girls, outdoors, pretty much anything. It can be paired with natural products like burlap, twine, wood and canvas. Really looking forward to this collection. If anyone remembers how much I loved the Origins collection from Basic Grey, you will understand why I love this upcoming line. 4. 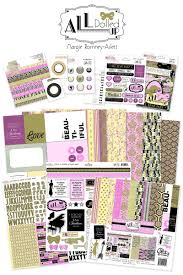 Glitz Design - All Dolled Up - beautiful collection combining light yellow/Ivory and pinks. Amazing rendition, and refreshingly different from the others. 1. 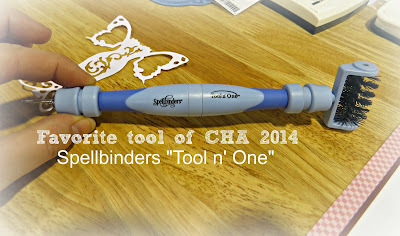 Spellbinders - Tool n' One. 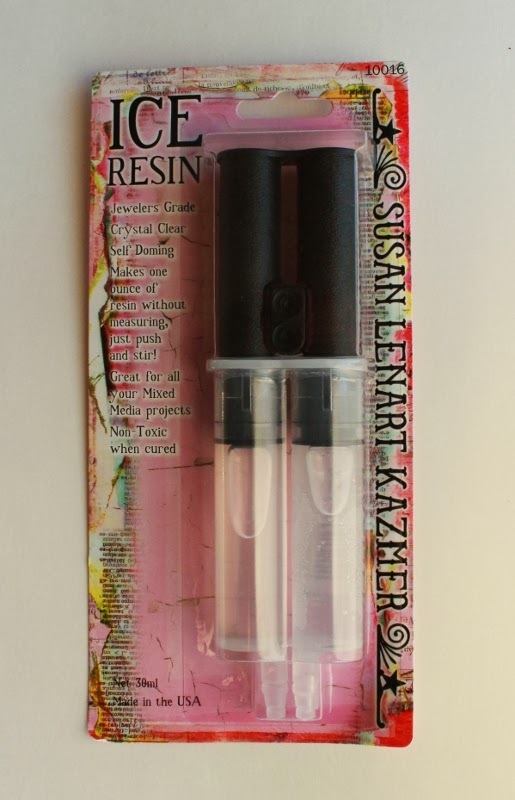 A wire roller brush on one side and a poke tool on the other, this tool is a master at getting those little confetti pieces out of the increasingly popular intricate dies that are flooding the market right now. You will not be disappointed, I sure wasn't. 2. 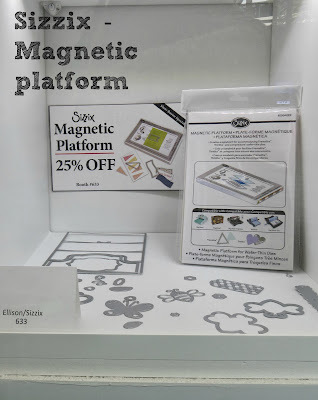 Sizzix - Magnetic platform - ingenious! I have been waiting for something like this, I was using a magnetic sheet under my flat dies, and with some success, but this is all together and the correct thickness. 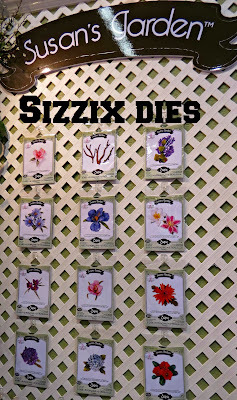 Thank you Sizzix. 3. 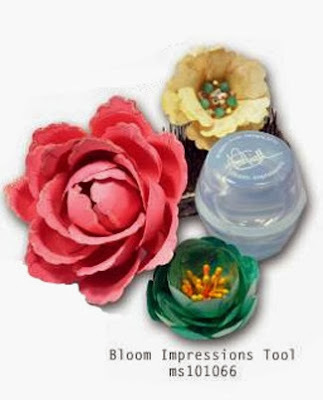 Marion Smith's - Bloom Impressions - makes shaping and forming petals so easy! 1. 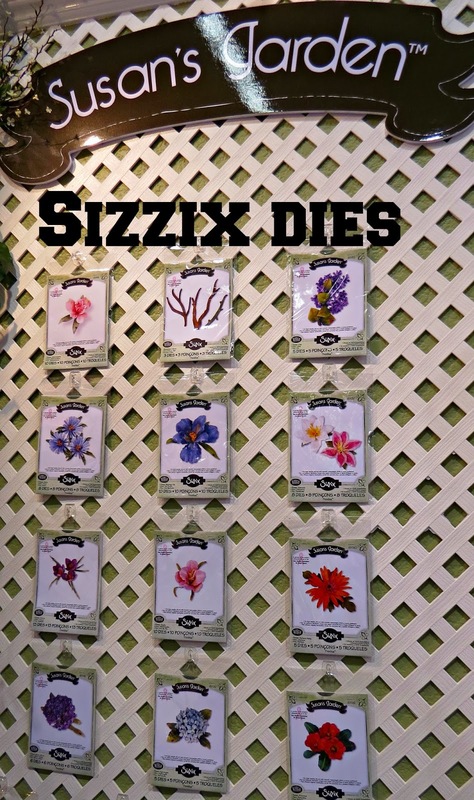 Sizzix - Susan's Garden dies - she is a botanist first and a designer second. 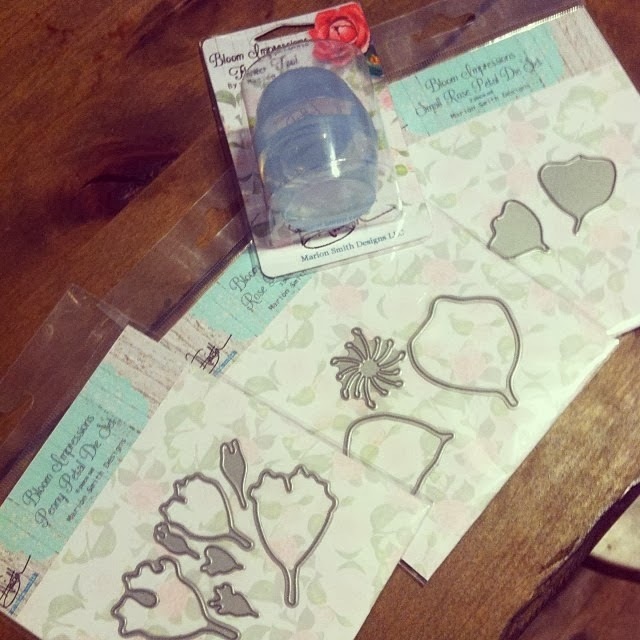 Susan has created these flower dies that are so true to life that you will have a hard time telling real from paper! I really wanted to get in on one of her make n' take demos, but the line up was just too long, so I was a lurker instead. 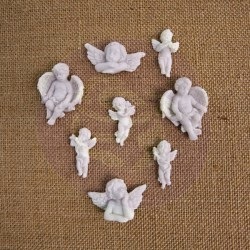 Amazing the detail for these dies. 2. 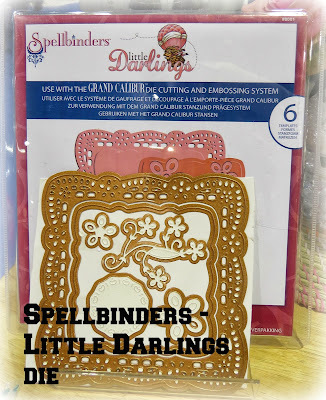 Spellbinders - Little Darlings - Darling Square Die. The large frame measures just over 6x6 and will make a perfect filigree perimeter for a 6x6 card or a photo frame for a layout. 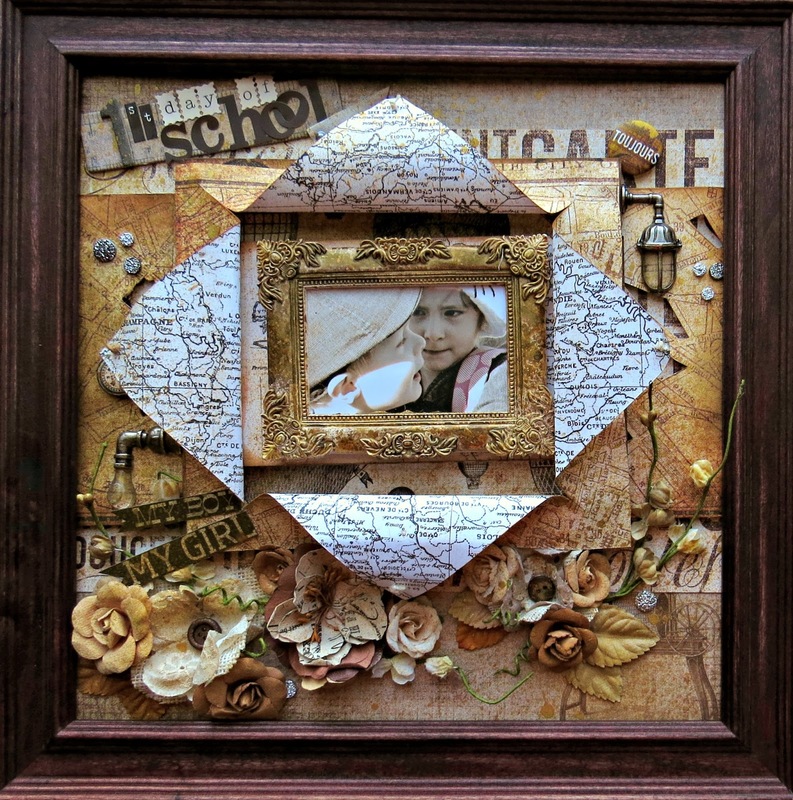 Use of Instagram photos is gaining in popularity and this square frame will be perfect! 1. 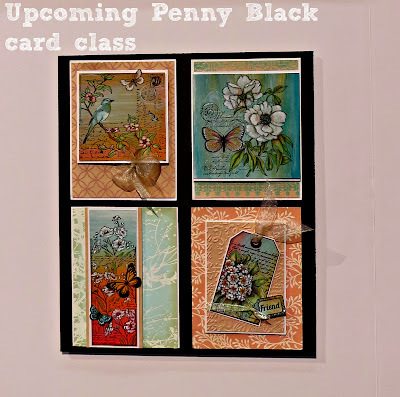 Penny Black - I fell in love with the Penny Black card making kit, I bought it right on the spot! You will be in awe of the detail they put into their cards. 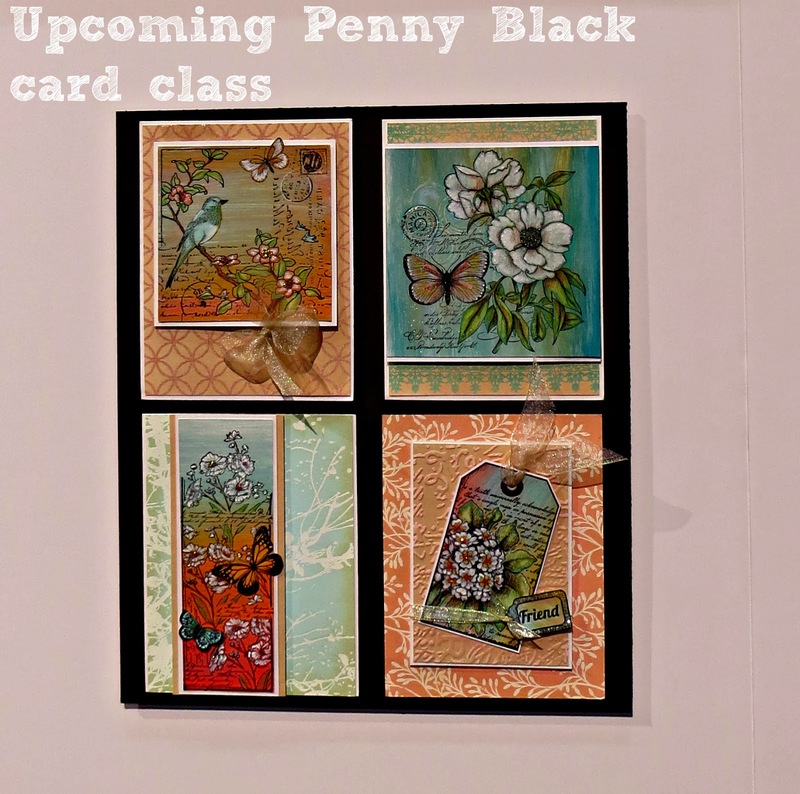 Watch for an upcoming class at Auntie Em's in March for this class! 3. 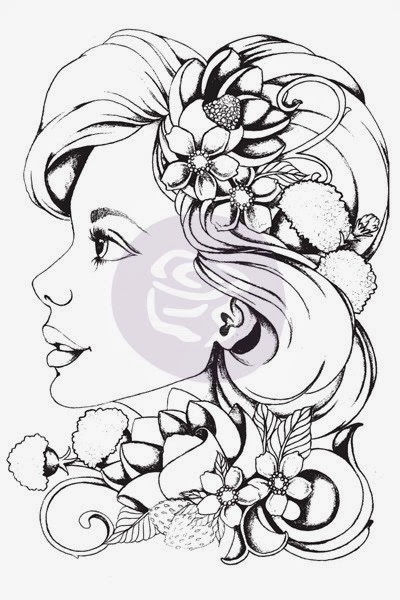 Prima's Bloom Girls - designed by the Uber talented Jamie Dougherty - I'm so happy to say I already own this girl and will be colouring her up VERY soon. 1. 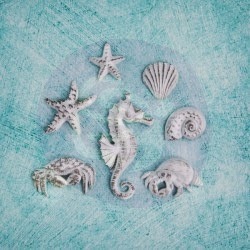 Prima resin - so many different resin pieces coming out - my absolute favorites are the cherubs and the seashore collections. My observations for this CHA include: metallics - particularly GOLD. I believe you will continue to see more of this trend throughout the year. 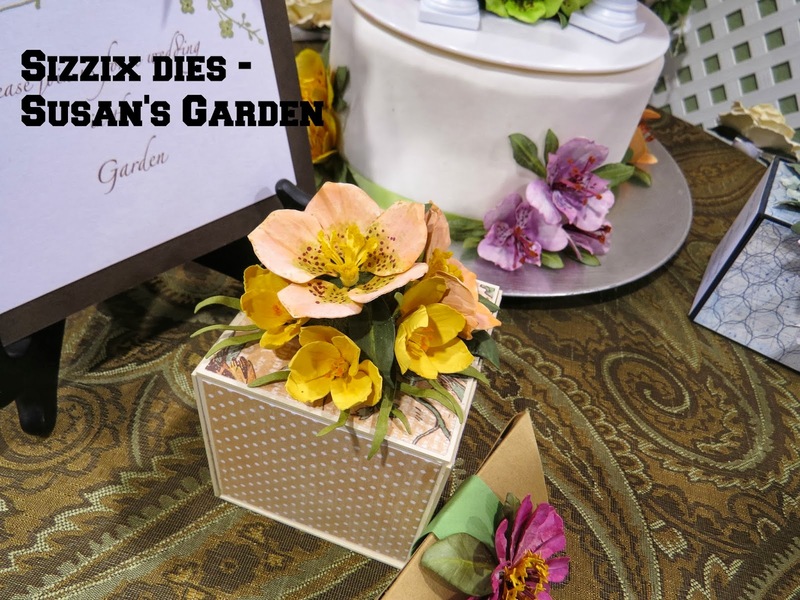 Flowers dies - it seems that every company has a flower die of some sort out, many have teamed up with Sizzix or Spellbinders, but some are venturing out on their own. 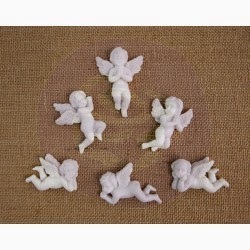 The trend of handmade flowers is still around and still being pushed by the industry. Foxes - they are everywhere, most popular animal I have seen this CHA - could it be due to the popularity of the Ylvis song "What does the Fox Say"?! I don't know, but I think they are adorable! Pink & Blue - nearly every paper company had their version of a baby pink and baby blue line. 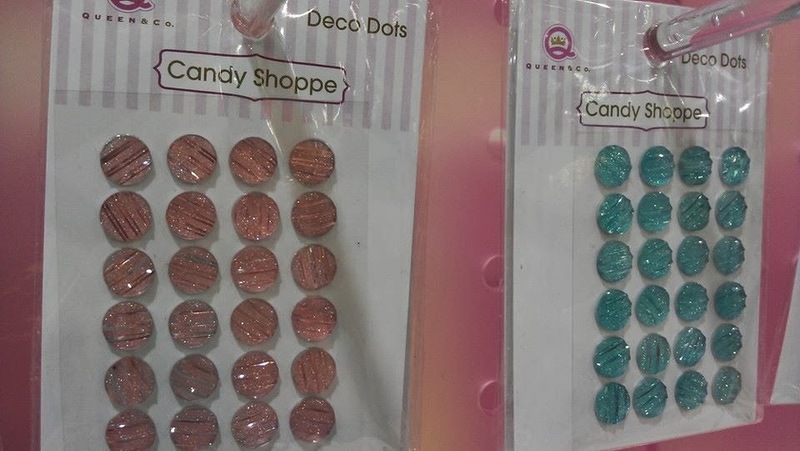 I love those colours together, believe me I do, but it was hard to find anything else. I was surprized at the lack of purple on the market this year. Maps- I love maps and travel lines - and there is no shortage of it out there this year, with Prima, KaiserCraft, Websters Pages, Echo Park among others having each their own lines. 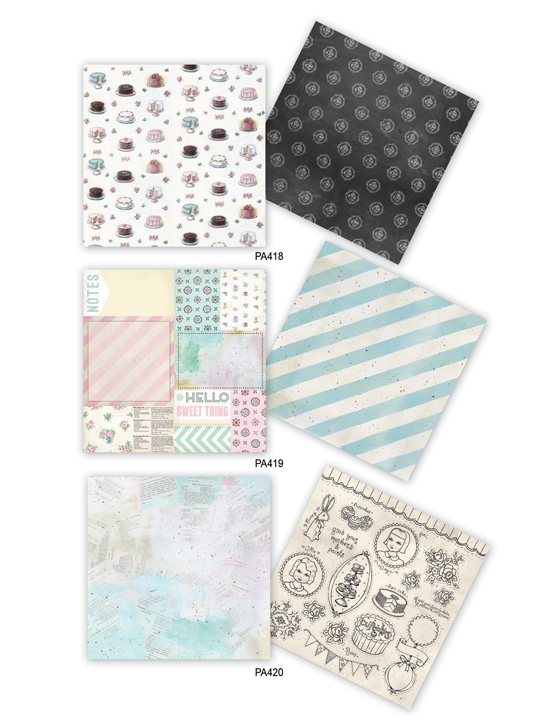 There is a whole lotta choices out there, and mixing and matching lines will be easy with the themes. 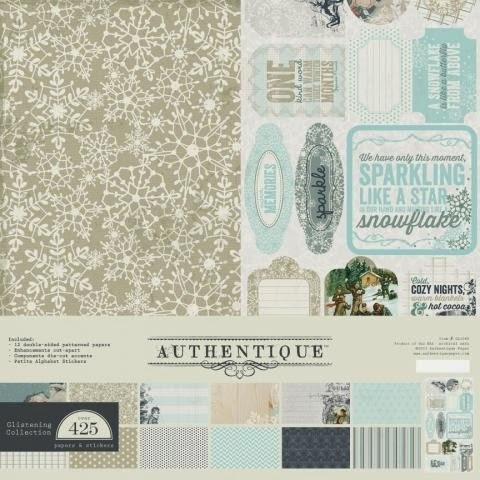 Pocket Scrapbooking - still popular - more and more companies are putting out lines that lend well to this popular trend with journaling cards, ATC cards, and their own versions of the albums. Well there you have it folks - a pretty long blog post - but this is just the tip of the ice burg for this CHA - there was so much to take in and see, and I'm quite certain that I missed heaps. 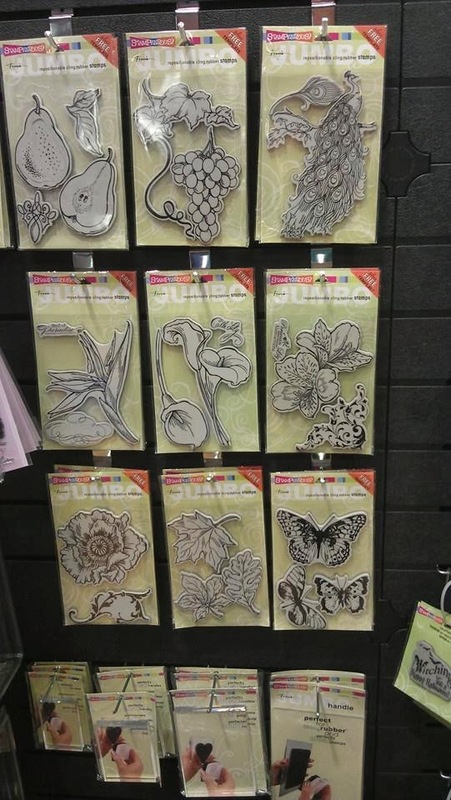 Stay tuned for new projects from me and use of all the beautiful lines I have picked up at CHA. 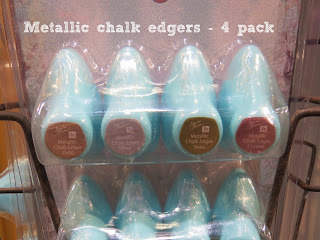 Please let me know your favorite product picks from this CHA - did I overlook something? Did I miss something you love? Or do you share the same loves as I do? Your comments are cherished and appreciated. 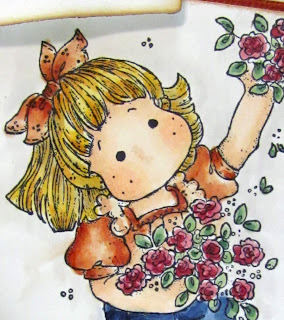 If you are interested in learning the basics of Copic Marker techniques and want a starting point, this class is for you. You get SIX markers in this class included and will learn and practice Copic techniques and blending. I provide you with class notes to reference back to. The cost is $65 + HST. 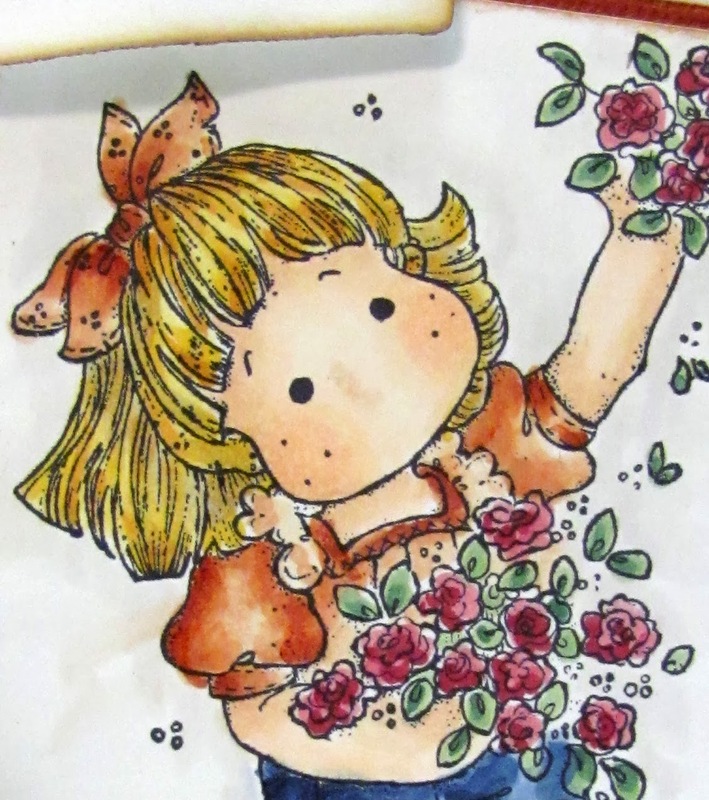 I am certified by Copic Markers to teach and have been teaching since 2010, my colouring projects have been published in Canadian Scrapbooker and on the Copic Facebook page. 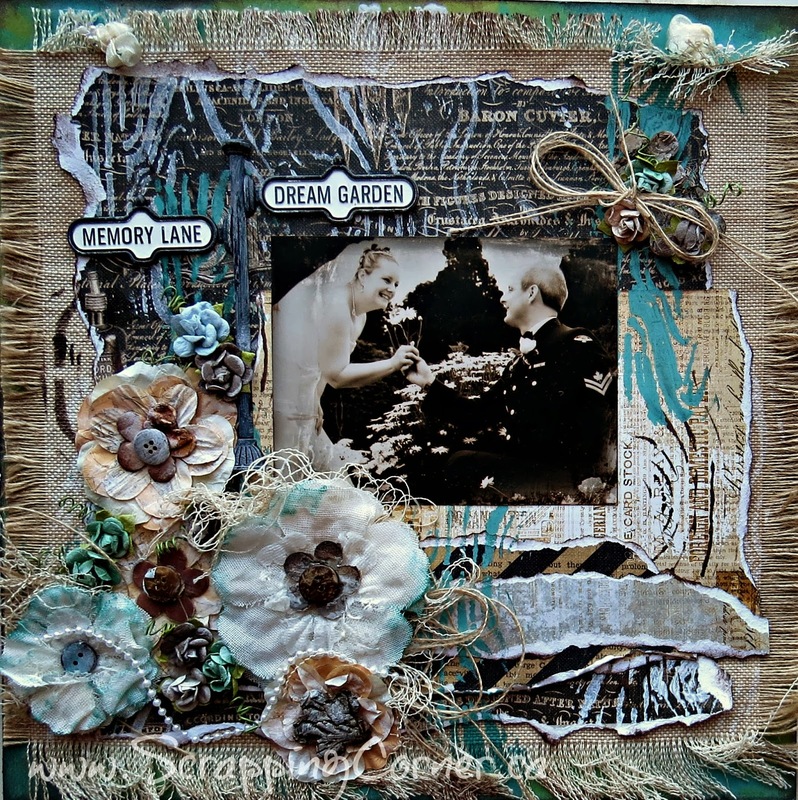 The class will be held at Auntie Em's Scrapbooking in Cornwall Feb 1st at 10:30 am. Following this Introduction class will be a Faces & Hair class if you wish to attend that techniques class as well. 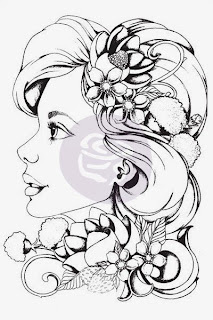 Join me on Saturday Feb 1st 19 at 1:30 for the Copic Faces & Hair techniques class! This is an excellent follow up class to the Basic's class. 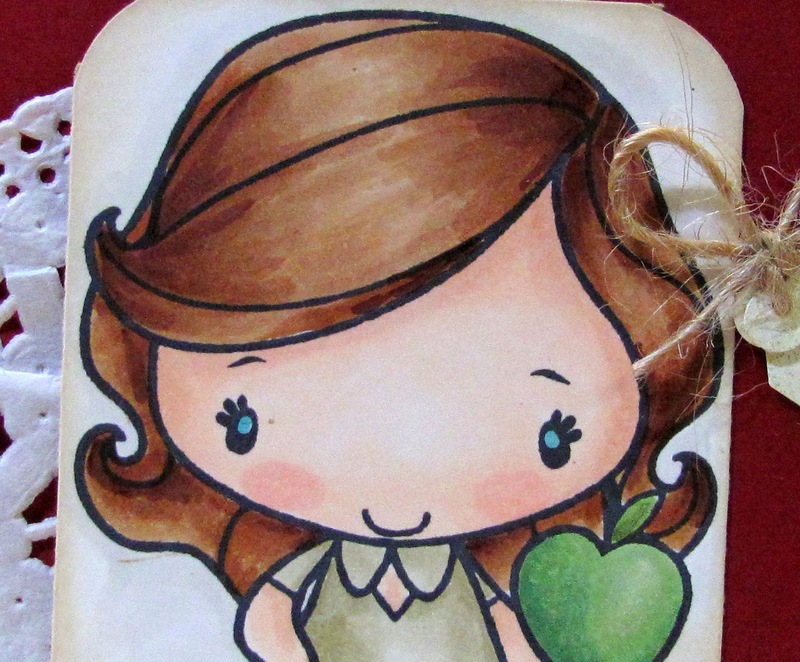 You will learn how to colour those adorable stamps that are available. Learn and practice blending techniques for details of faces and hair. You will NOT be disappointed. E000, E00, E01, R20, Y21, YR23, E17, E31. Art Venture Anaheim .... here I come! This is a vacation I have been looking forward to for many months! I signed up in May 2013 for Art Venture Anaheim, and it is just days away now! Prima Marketing puts together a fantastic two day event full of Prima Instructors teaching phenomenal projects with NEW product and techniques. 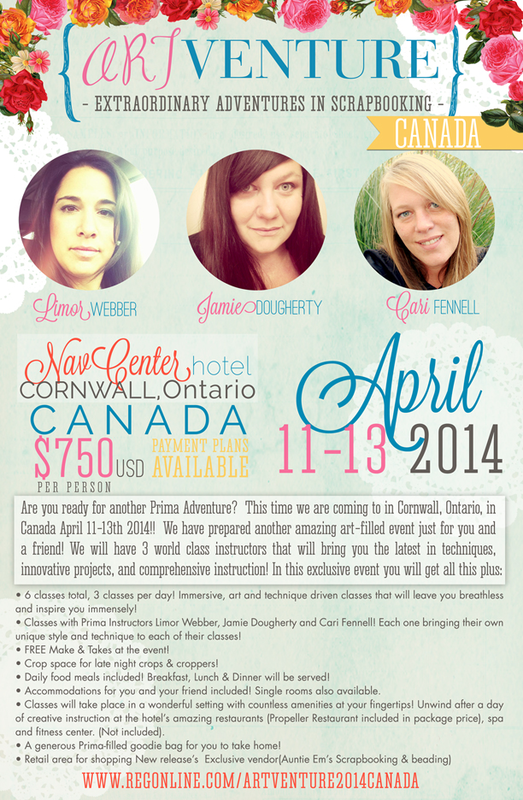 To my excitement Prima Art Venture is coming to Canada in the spring (April 11-13 2014) and I will be going to that one too! Here is the link for the details on Art Venture Canada. All lodging and meals are included. So, some of the girls are getting together to trade ATC's (Artist Trading Cards). 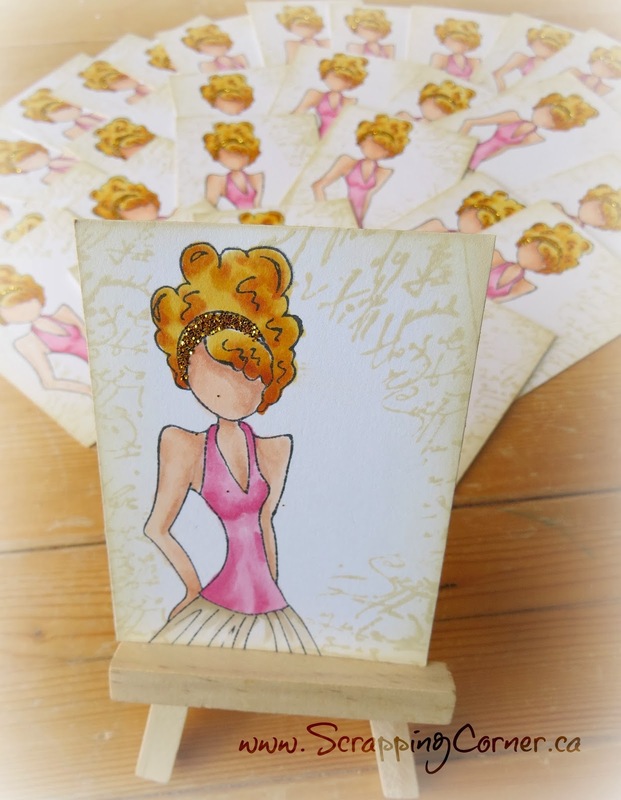 They are a 2.5" x 3.5" card that represents your creative style. 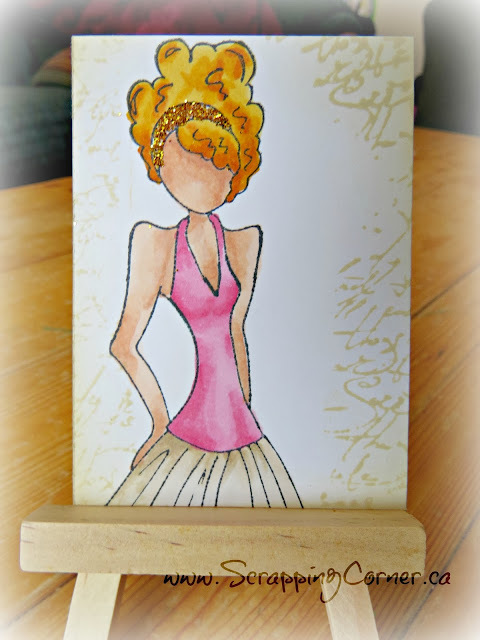 Well nothing says my style other than: Copic colouring, Pink, and Antique Linen distress ink!! Only thing I'm thinking I should have added somewhere on it is a daisy, oh well, next time. Well here is what I came up with - let me know what you think. I'm also looking forward to going to CHA while in California!